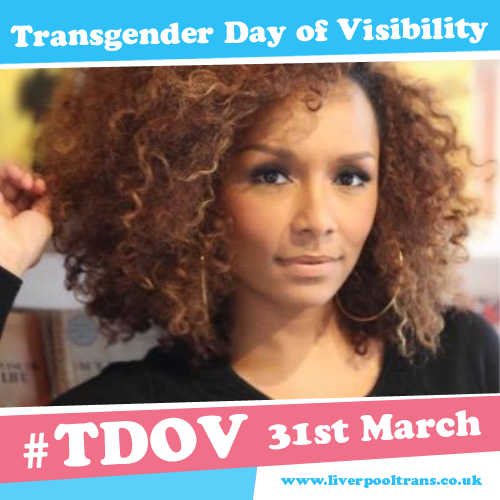 Yesterday was Transgender Day of Visibility, an event held annually on March 31st celebrating the lives of transgender people. It’s intention is to applaud achievements of the trans* community while also highlighting the many issues and prejudices it faces. 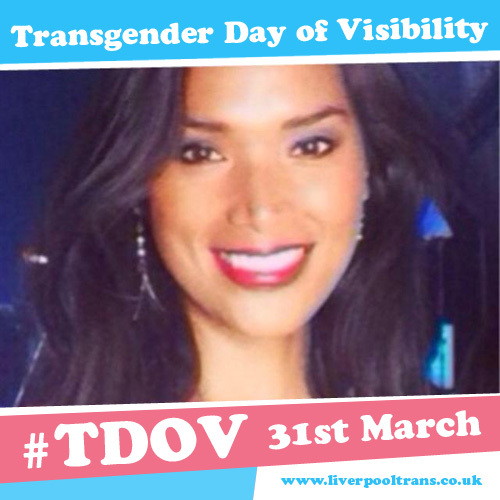 Liverpool Trans contribution to #TDOV was to create a profile picture upload tool so people could show their support for #TDOV across social media. We were optimistic that we’d get a bit of interest, it was a fun, it was engaging and it was a positive way to show support for what was a relatively new event. Amazed to say since launching on Monday, there have been over 1500 profile pictures created. 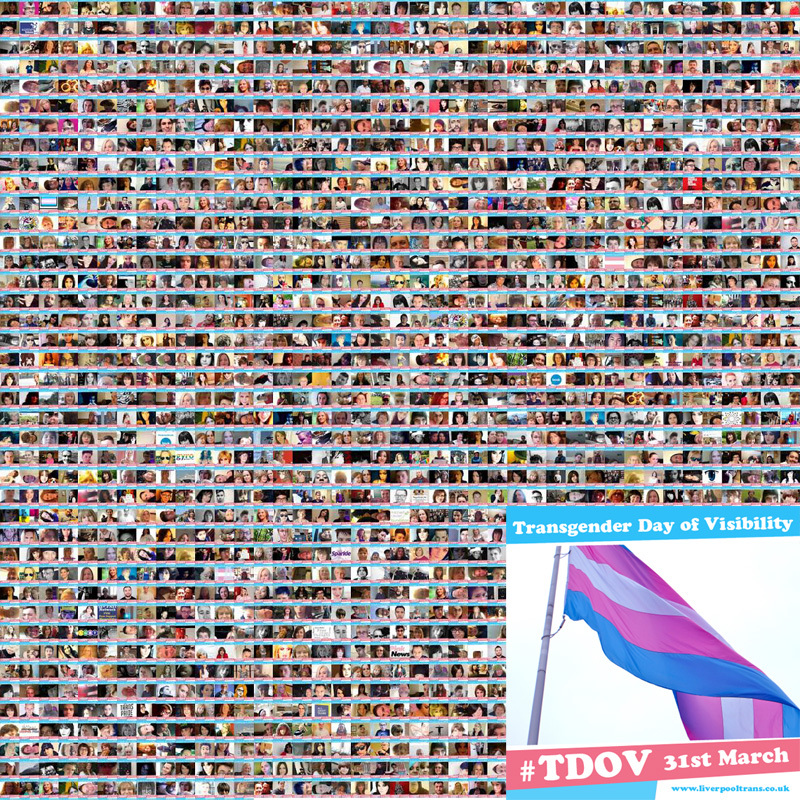 Some we’ve uploaded and on our Facebook Page we’re sharing our favourite #TDOV pictures and asking community members to nominate their own trans* visibility icons. Last night we frantically tweeted, messaging our way to some of the trans communities finest, with contributions from author and TV Host Janet Mock, author and performer ‘Aunty’ Kate Bornstein (in a rather fetching Grey Fez) and model and Genderproud advocate Geena Rocero. It’s fair to say we were giddy as love struck teenagers to have them involved. Representation came from writers, artists, DJs, film makers, actors, models, Army, Navy, Air Force, presenters, teachers, performers, government, engineers, singers, athletes, tutors & students. Transgender people getting their voices heard, their stories are shared, building a more understanding society. Heartfelt thanks and pride to everyone that made this happen. This entry was posted in Uncategorised and tagged Geena Rocero, Janet Mock, Kate Bornstein, TDOV. Bookmark the permalink.